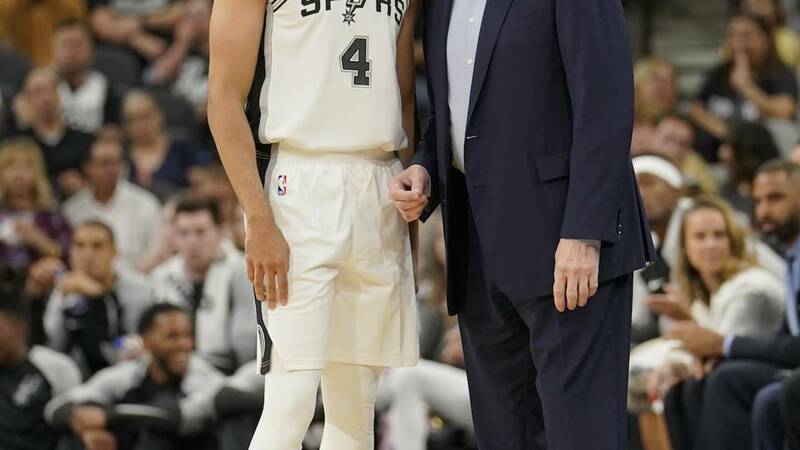 ORLANDO, Fla. - The Spurs suffered yet another significant injury, as Derrick White will reportedly miss up to two months with a left heel injury. According to Jeff McDonald, of the San Antonio Express News, head coach Gregg Popovich revealed the injury news and timeline to the media Friday morning as the Spurs prepare for their final preseason game at Orlando. White's injury comes after it was revealed Monday that starting point guard Dejounte Murray would likely miss the entire season with a torn ACL. White was expected to take the starting point guard job with Murray sidelined for the season. White started the Spurs preseason game at Atlanta on Wednesday and performed well, scoring 15 points. This is also the third major injury to guard rotation. Rookie Lonnie Walker IV was expected to miss about the same time as White as he recovers from a torn meniscus in his knee. The Spurs open the regular season at home against Minnesota on Wednesday.